Mandera, NE Kenya, March 2006.Mandera district hospital, ACF operated TFC. 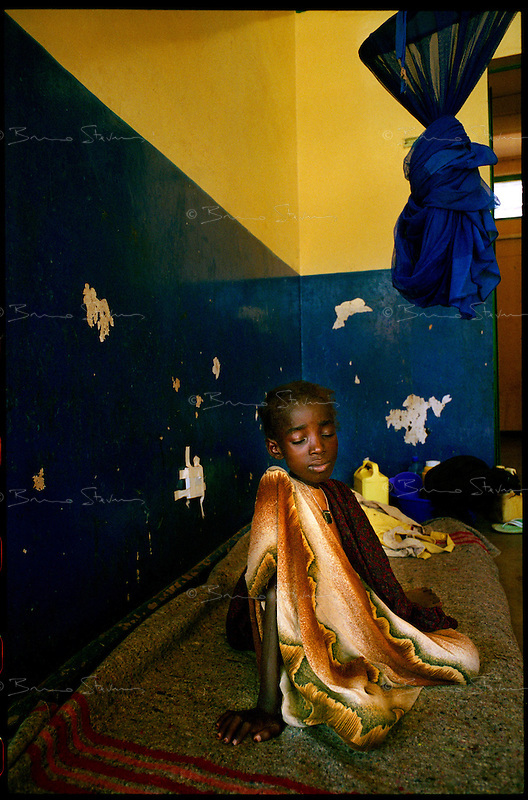 Khadija Md Abdu, 8, suffers from severe malnutrition. Millions semi-nomadic herdsmen who are leaving the bush to come and live in camps near villages as their livestock is decimated by a persistent drought, abandonning their traditional lifestyle.